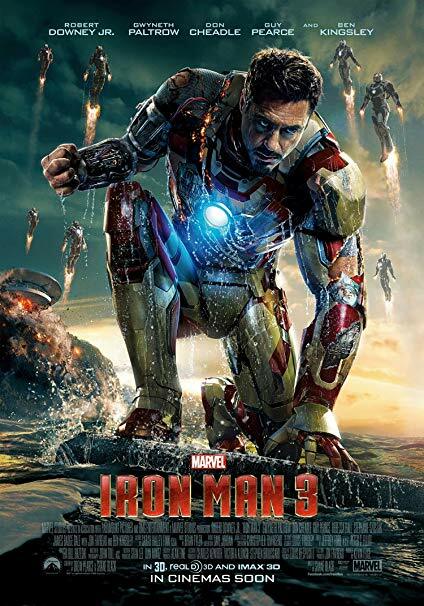 Released on May 3rd, 2013, Iron Man 3 is the 7th film in the Marvel Cinematic Universe (MCU). It stars Robert Downey Jr. as the titular character Tony Stark (a.k.a. Iron Man) as he tries to end a national terrorist plot by the Mandarin and find him. The film grossed $1.215 billion dollars worldwide and has earned an 80% rating on Rotten Tomatoes. It was praised by critics for its performances, action sequences, humor, story, and the musical score created by Brian Tyler. However, critics had mixed thoughts on the villain twist. There was one element of Iron Man 3 that is widely praised: the accurate portrayal of Tony’s mental illness. After the events of 2012’s “The Avengers”, Tony has been dealing with PSTD (Post-Traumatic Stress Disorder) and anxiety attacks. This stemmed from Stark nearly dying from driving a missile into a wormhole, destroying the Chitari mother-ship and ending the Battle of New York. To learn more about Marvel’s portrayal of Tony Stark’s mental illnesses I sat down with Dr. Chuck Greanoff. Dr. Greanoff is a teacher at Lakewood High School, however, in 2006 he was a practicing psychologist. He was shown scenes from the movie that showcase Stark’s mental health issues and discussed his thoughts with me. Scene 1: Tony gets an anxiety attack hearing words triggering memories of The Battle of New York and needs to hide in his suit to calm down. Scene 2: Tony admits that he hasn’t been the same since New York (Avengers 1) and reveals he has been experiencing episodes. He attributes his girlfriend (Pepper) for being the reason he hasn’t lost his mind. Scene 3: Tony has somewhat of a night terror. What do you think about this? Should big blockbusters stop fearing showing mental illness in movies? Iron Man 3 showed that mental illness did not hold Tony’s abilities back, and he came out on top as the victor.